I just installed build 2110 into Visual Studio 2008. I'm working on a VB solution and tried to cleanup a class file. I've defined a profile for VB in the code cleanup options where i checked all three VB options. Two things happened: First there is a mix between leading tabs and leading spaces. This is an old issue i reported (RSRP-99313). Second is that there are a couple of redundant "Me." in the code. I ecxpected that they are removed by the cleanup as i checked "Shorten qualified references" (see screenshot). 'this' qualifier", a similar option has not been implemented for VB.NET yet. and you're welcome to vote for it. Thank you! 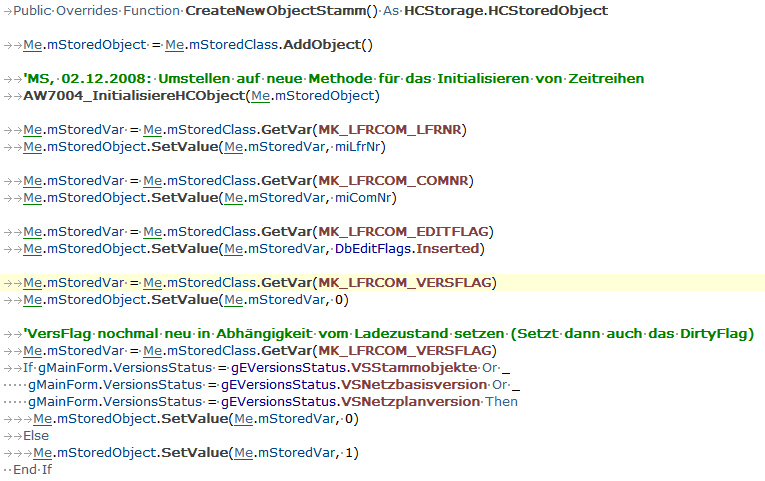 removed by the cleanup as i checked "Shorten qualified references"
Klaus, feels like you and I are the only VB.NET developers here :-). I figured I'd report it.